The scientific, political, and industrial revolutions of the Romantic period transformed the status of humans and redefined the concept of species. This book examines literary representations of human and non-human animality in British Romanticism. The book’s novel approach focuses on the role of aesthetic taste in the Romantic understanding of the animal. 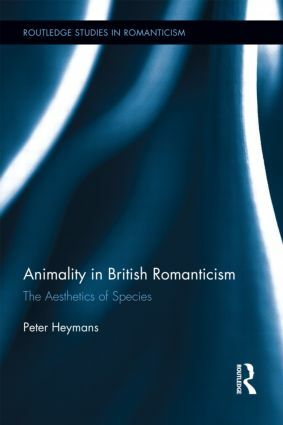 Concentrating on the discourses of the sublime, the beautiful, and the ugly, Heymans argues that the Romantics’ aesthetic views of animality influenced—and were influenced by—their moral, scientific, political, and theological judgment. The study reveals how feelings of environmental alienation and disgust played a positive moral role in animal rights poetry, why ugliness presented such a major problem for Romantic-period scientists and theologians, and how, in political writings, the violent yet awe-inspiring power of exotic species came to symbolize the beauty and terror of the French Revolution. Linking the works of Wordsworth, Blake, Coleridge, Byron, the Shelleys, Erasmus Darwin, and William Paley to the theories of Immanuel Kant and Edmund Burke, this book brings an original perspective to the fields of ecocriticism, animal studies, and literature and science studies. Peter Heymans is a Research Affiliate at the Vrije Universiteit Brussel, Belgium.